Writing an assignment for your term paper or research paper? Then you should be prepared to know how to write your paper in the correct essay format. There are two things you have to keep in mind while formatting your paper. First your paper should follow a certain standard formatting procedure which is followed while writing almost all papers. Second, you have to be aware of the MLA/APA/Chicago or Harvard formats of writing, and know what pattern each one follows. The first part of the formatting consists of following a standard procedure, which is followed for almost all kinds of essay writings. This consists of writing on a regular white paper measuring 8.5 inch x 11 inch, and it should be computer generated unless otherwise specified. There should be a margin of one inch on all sides of the paper of the written essay and only one side of the paper should be written on. The entire essay will have to be written in Arial or Times New Roman , font size 12 and with double spacing. The title page should be included only if instructed to do so by the professor and it should contain the entire title of the project in title case, name of the student, course name , name of instructor, date of submission and any other details the professor asks for. Each page should have a header on all pages of the written essay containing written matter as according to the chosen format or as specified by the instructor. A reference page is compulsory at the end if any direct quotations are cited in the essay to avoid charges of plagiarism. The essay written should be in a simple five paragraph format, unless the teacher specifies it to be written differently. There should be an introductory paragraph, three body paragraphs and a concluding paragraph. The introduction will give stress on the fact as to why that particular theme was chosen and why the writer thinks it to be important. It will also give relevant and important information on the topic but in brief. The main body will contain the details about the topic chosen. Facts and important information are to be presented here in great details. 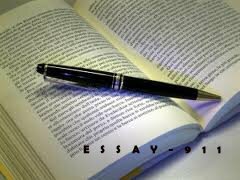 The conclusion must give a proper summary of the whole essay and reiterate the main argument. The second part in essay formatting is writing according to the pattern as per the instructions of the teacher. so it is essential for all writers to know the various formats like MLA/APA/Chicago/Harvard. Generally arts and literature students are asked to write their assignment in the MLA format, while science and management students are asked to follow the APA format. Chicago formatting, which follows a detailed pattern for referencing is for the history students mainly. Writing a good essay not only means making good use of the language used for writing the article, but also correct and logical representation of facts and data, well organised style of writing, while the most important factor being writing in the correct referencing pattern as instructed by the teacher. If you feel that you may not be able to write you assignment following the correct essay format pattern, then place an order with us at MasterPapers.com to get the best possible paper. Write in the Correct Essay Format 7.4 of 10 on the basis of 1604 Review.